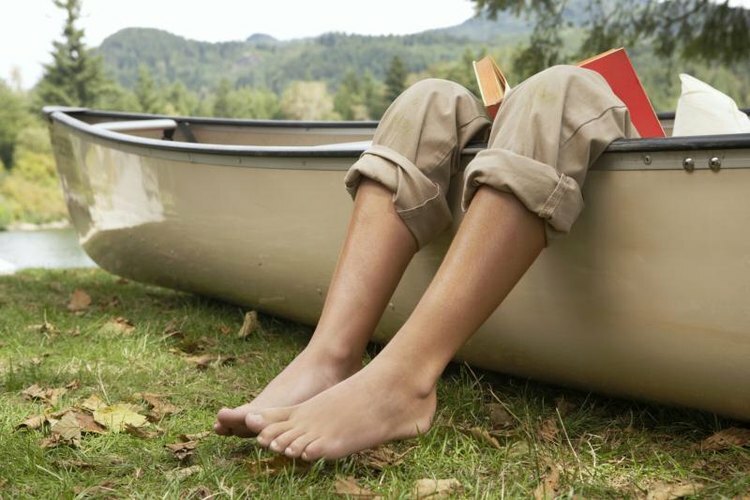 Feet hanging out of a canoe. The Scanoe is a canoelike boat formerly manufactured by the Coleman company. Coleman sold its rigid boat operation to Pelican International in 2000. Though it continues to make several kinds of boats, including canoes, Pelican no longer manufactures the Scanoe. For some time, Pelican also manufactured a square-backed canoe similar to the Scanoe called the Bayou 160. The Scanoe was made of polyethylene and featured a square back for mounting a motor. At least one retailer had limited stock of 14-foot Scanoes as of 2014. The 14-foot-model has a relatively wide, 38-inch beam and three molded bench seats that aid in flotation, and is equipped with drink holders. The Scanoe weighs 84 pounds and has a carrying capacity of 765 pounds. The built-in, square motor transom at the rear of the Scanoe is rated to take an electric trolling motor. Six rod holders are integrated into the boat hull.